Eric Hoyer is a licensed real estate associate with CBC Saunders Real Estate | Forestry Group, specializing in timberland, agricultural land, recreational land, and conservation easements. Eric is a senior forester and division co-manager of Natural Resource Planning Services, Inc., (NRPS), a forestry consulting firm operating in Florida and Georgia, where he has worked as a consulting forester since 1995. In addition, Eric is a registered forester in Alabama. Over 30 years of forestry consulting experience in Florida supports Eric’s specialty in timberland management. He has been a licensed real estate sales associate since 1995. 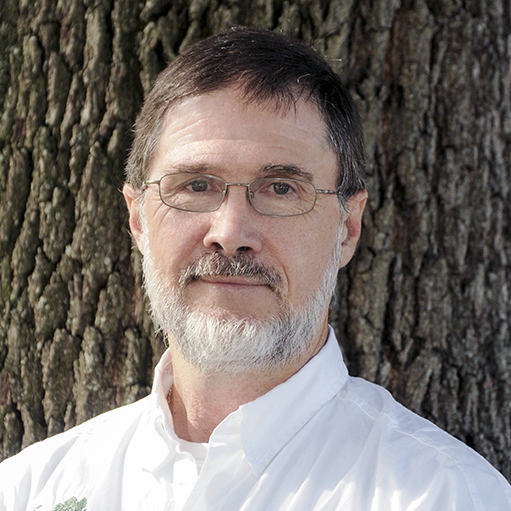 His Involvement in all aspects of urban forestry/arboriculture includes tree inventories, hazard tree assessments, tree appraisals, protection of trees during construction, and expert testimony. Eric is a certified forester (CF) with the Society of American Foresters, a certified arborist (CA) with the International Society of Arboriculture, and a registered consulting arborist (RCA) with the American Society of Consulting Arborists. He is certified with the Mining Safety and Health Administration (MSHA). Industry participation includes presenting at environmental and forestry workshops and seminars. He is a member and past officer of the Society of American Forester; as well as a member of the International Society of Arboriculture, where he held multiple positions on the board of directors. Eric is a member of the American Society of Consulting Arborists, the Florida Exotic Pest Plant Council, and the Florida Forestry Association. He has held instructional positions at both the University of Florida in Plant City, FL and Edison Community College in Fort Myers, FL. Eric holds a bachelor of science degree in forestry from the University of Maine and a masters of business administration from the University of Florida. He and his wife live in Citrus County, Florida. They have two daughters, three grandchildren, and four dogs.